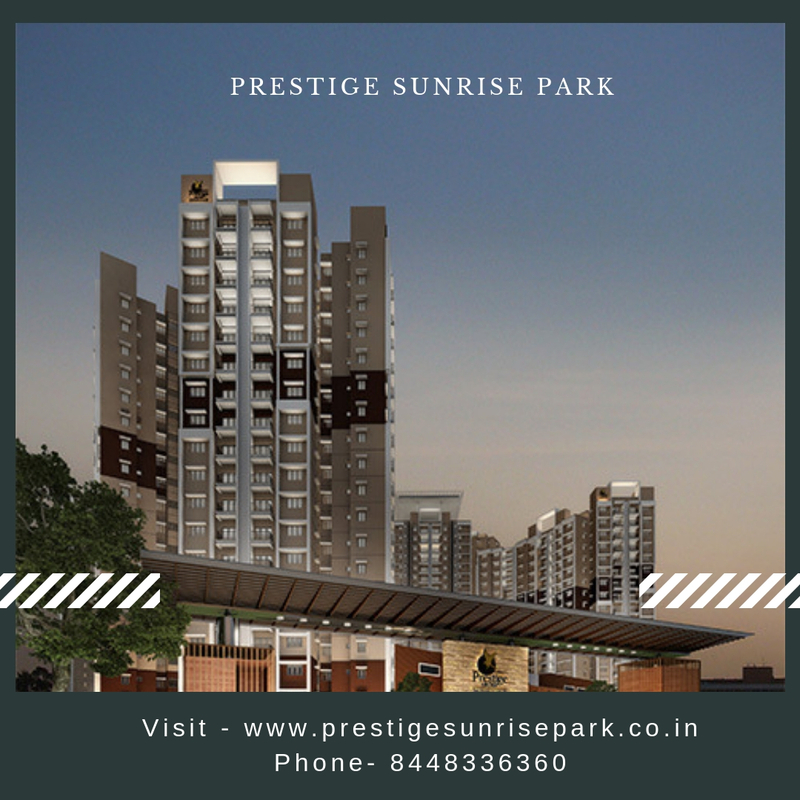 Built by the premier developers of India, Prestige Estates Projects Ltd., Prestige Sunrise Park is already rated as an enviable living destination in Bangalore. The company established in 1986, is ISO 9001:2000 certified and has received the FIABCI Award and Crisil DA1 Developer Rating. It isa name investors can rely on for quality and timely delivery. 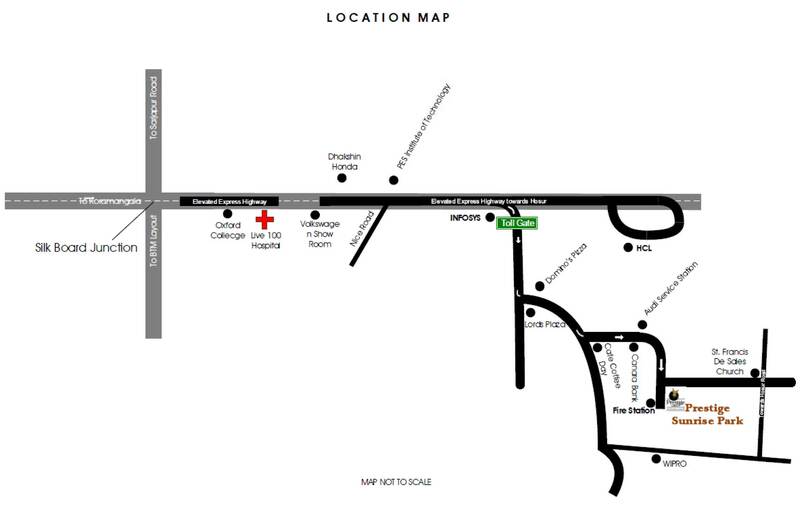 Located in Electronic City, Phase 1, Prestige Sunrise Park Bangalore, has an extraordinary location advantage. A number of reputed educational institutes, hospitals, malls, and other commercial hubs are in its vicinity. Also availability is a convenient public transport providing the working residents and their families a stress-free commute. Real estate prices in Bangalore, South India’s most important IT hub, especially in the Electronic City area, command a high premium in terms of property prices. Almost 300 national & international companies are based in this metropolitan city which has international standard infrastructure and pleasant weather. The city known as the ‘Silicon Valley of India provides an exciting environment with ample earning opportunities. Electronic City located on NH-VII has become an ideal choice for people wanting an urban lifestyle full of opportunities. Surrounded by a green peaceful environment, Prestige Sunrise Park Electronic City, is away from the city din and chaos. Extending over an expansive area of 25 acres,it has 2 blocks namely Birchwood and Norwood, with 15 elegant towers. On offer are spacious 1.5, 2.5 and 3 BHK apartments with unit sizes varying from 1007 sq. ft. to 1615 sq. ft. The prices of the units in the Prestige Sunrise Park price list reflect the affordable pricing for this luxurious project. The luxurious amenities include clubhouse, gymnasium, aerobics room, swimming pool, and a mini theatre all spread across enchanting landscaped greens. The classy interiors will be finished with high specifications with the use of branded fittings and flooring. Living a luxurious lifestyle with the best modern comforts in the booming IT city Bangalore is almost like living in heaven. To offer the homebuyers same kind of lifestyle, Prestige Estates Projects Limited have launched their new vibrant residential project in Electronic City. Some of these towers in Prestige Sunrise Park Birchwood are newly launched and are embellished with high-end specifications and are loaded with several unique luxury layouts. With sophisticated interiors, these luxury homes have modular kitchens, stylish bedrooms, astonishing living and dining areas, modern toilets and washrooms, spacious balconies etc. Location of Prestige Sunrise Park Norwood has several advantages for the homeowners. As Electronic City is one of biggest IT hubs in the country, there are more than 300 national and international companies in Bangalore from which most of the big names are established in this locality. Apart from that, with the easy availability of public transport, traveling from here to the other parts of the city is very smooth and quick. From international schools to reputed hospitals and from departmental stores, chemists, market areas, shopping malls to cinema halls etc. every major social infrastructure facility is available in close proximity to this complex. The amazing new launch towers have RCC framed structure with RCC sheer walls and all the towers in this amazing project are earthquake resistant. Buyers can enjoy here the amenities like day care center, theatre, video security, swimming pool, multipurpose hall, clubhouse, meditation center, kids’ play area, landscape garden, indoor and outdoor games etc. 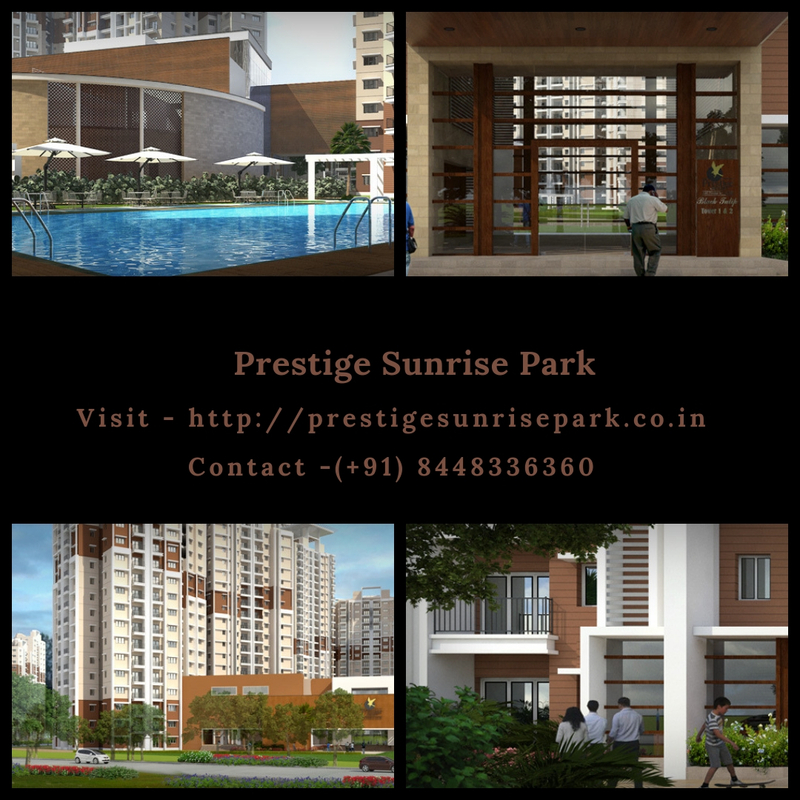 Loaded with special features, the property is offering very genuine Prestige Sunrise Park Price to the customers. You can book an apartment here in the price ranges from Rs. 50.85 lakhs to Rs. 83.17 lakhs. This exclusive project supersedes all expectations for a dream home with a perfect blend of opulence and elegance!